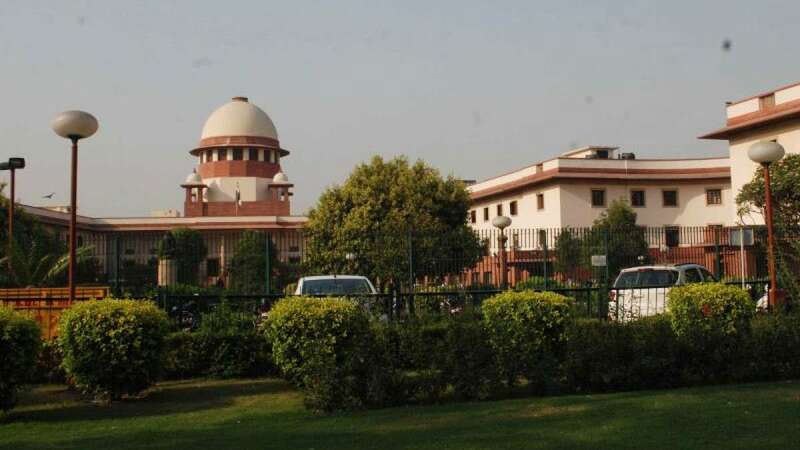 New Delhi : The Supreme Court on Wednesday said it will hear, on June 15, a plea challenging the Central government notification prohibiting sale and purchase of cattle at animal markets for slaughter on the grounds that it violates the right to free trade. Petitioner Mohammed Abdul Faheem Qureshi has also challenged the Prevention of Cruelty to Animals (Care and Maintenance of Case Property Animals) Rules, 2017 which deals with the seizures, recovery of the cost of transportation, maintenance and treatment of seized animals. Hearing counsel Sanobar Ali Qureshi, appearing for the Hyderabad-based petitioner, a vacation bench of Justice Ashok Bhushan and Justice Deepak Gupta listed the matter for hearing on June 15. Faheem Qureshi, who is himself a lawyer, contended that the Prevention of Cruelty to Animals (Regulation of Livestock Markets) Rules, 2017, which bans sale of cattle for slaughter and restricts cattle trade to farm owners, is arbitrary, illegal, and unconstitutional. He argued that the rules violate his constitutional rights to practise any profession or to carry on any occupation, protection of life and personal liberty, freedom of conscience and free profession, practice and propagation of religion and protection of interests of minorities. Challenging different stipulations of two notifications that came on May 23, Sanobar Qureshi said the rule that the purchaser "shall not sacrifice the animal for any religious purpose" was contrary to the Prevention of Cruelty to Animals Act, 1960, whose Section 28 says it is not an offence to "kill any animal in a manner required by the religion of any community". Meanwhile, the petitioner, who also heads the All India Jamiatul Quresh Action Committee, also attacked the stipulation which prohibits bringing young cattle to animal market, unless the purchaser furnishes an undertaking saying he is an agriculturist, that the animal would be used for agricultural purposes, and not resold for six months. He also argued that its provision holding a first-time offender should be deprived of the animal's ownership violates the 1960 law's Section 29 which says that no person would be deprived of his animals unless he has been previously convicted under the Act or it is shown that his character, or record of treatment of animals makes him unfit. Qureshi also objected to the provision of the notification requiring the owner to submit a bond to pay for the transportation, maintenance and treatment of the cattle.